How did the publishing industry change in that time? What are the biggest challenges of being a writer in 2015? Well, as we all know, the big publishing houses have consolidated over the last ten to twenty years. Advances and marketing outlays have shrunk for mid-list and debut authors. Obviously, online self-publishing has changed things as well and made getting readers’ attention more competitive than ever. However, I think it’s an exciting time for new authors. With the consolidation of the big houses, small genre specific publishers have sprung up. The smart ones are narrowly focused and know their strengths. Some of these publishers have authors who have been nominated and won the biggest awards in all of Mystery. Some of the challenges for writers are not to get discouraged that your work hasn’t yet found a broad audience, finding enough time to write and market your work, and budgeting your expenses for all the marketing you have to do on your own. Rick Cahill lived in Santa Barbara but relocated to San Diego following the suspicious death of his wife. What made you move from Santa Barbara to San Diego in real life? 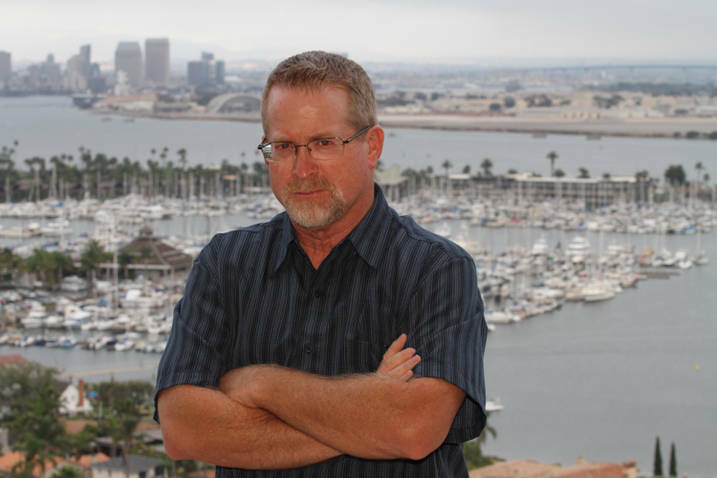 Why is San Diego the right location for you and Rick Cahill? I’m actually originally from San Diego and went to Santa Barbara for college—write what you know. San Diego is home, and I think it’s under-served as a mystery setting. That’s not to say that we don’t have wonderful mystery writers in the area. T. Jefferson Parker has lived in Fallbrook, north of San Diego, for over a decade. Don Winslow lives in the county. Alan Russell, Ken Kulken, and Lisa Brackmann are all San Diegans. There are many others. However, most of the great authors I’ve mentioned don’t set their stories in San Diego too often. I want to tell my stories in the slices of San Diego I know and grew up in. Besides the location, in what ways is Rick Cahill based on you and your experiences? Have you had better luck in love than he has? Again, write what you know. Aside from going to UC Santa Barbara, Rick and I both spent a fair amount of time in the restaurant business. There are a few real-life experiences that were expanded in my book like being chased through a Vons grocery store and jumping out a delivery door into a dumpster to escape. However, most of the experiences, if not the emotions, are pure fiction. Regarding love, I’m divorced. But nobody died. 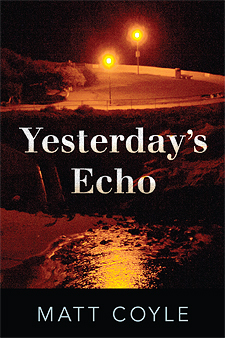 In both novels, Cahill has a combative relationship with the police due to events in his past. How does his growing resentment and mistrust of law enforcement effect his character development? How hard is it to keep him from becoming a blatant criminal? It makes him a little paranoid and forces him to battle himself internally. He’d been a cop. So had his father. At heart, he’s a law and order guy but he’s had bad experiences with law enforcement. He was kicked off the force in Santa Barbara and the same thing happened to his father before him in La Jolla. He’s a much less trusting person than he used to be in all facets of his life. Rick breaks the law at times, but he doesn’t consider himself a criminal. 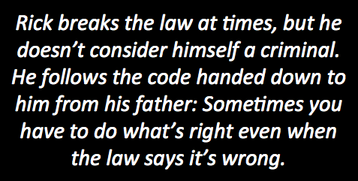 He follows the code handed down to him from his father: Sometimes you have to do what’s right even when the law says it’s wrong. 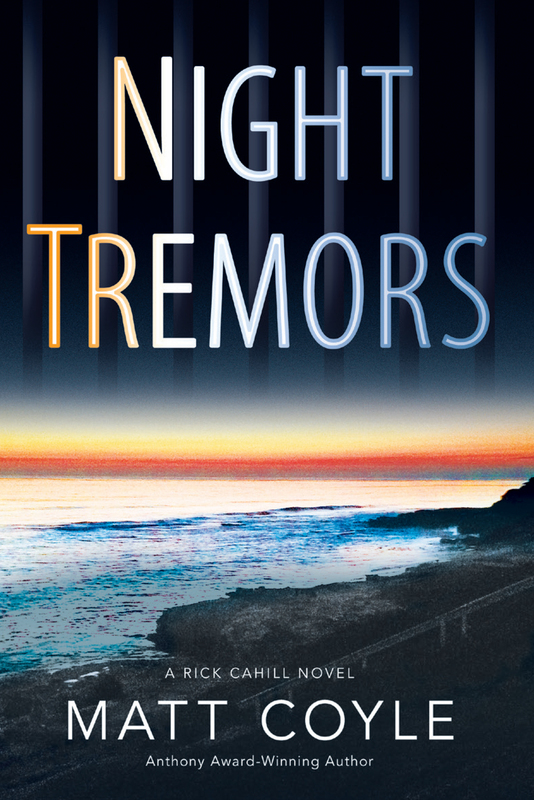 In NIGHT TREMORS, his own perception of what he thinks is right will be tested. Who are some of your main influences as a writer? What book is on your nightstand right now? Raymond Chandler and Ross Macdonald are probably my two biggest influences. I read them both in high school and college and learned a tremendous amount about detective fiction from them. I loved Hemingway and Fitzgerald, too. 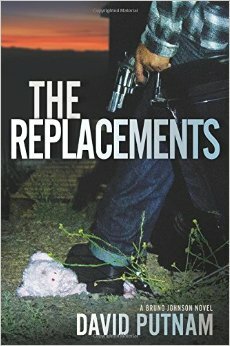 I’m reading THE REPLACEMENTS by David Putnam. He’s an ex-cop, a friend, and an excellent writer. I’m going to reverse the questions in my answers. First of all, I’d tell them to write. Don’t be stupid like I was and wait for inspiration. Write everyday. 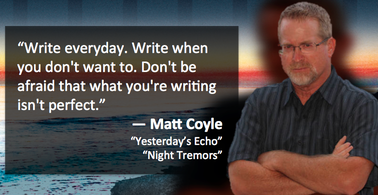 Write when you don’t want to. Don’t be afraid that what you’re writing isn’t perfect. It’s not, but it’s going to get better. My other advice is get thee to a writers group or, at least, find a couple of beta readers who aren’t related to you and won’t be afraid to hurt your feelings. We may write for ourselves but none of us want our work to go unread. Fresh eyes will find things you think are there but aren’t and will find things that are there that shouldn’t be. What other publishing plans do you have for 2015? What else are you working on? Right now, I’m working on the third Rick Cahill crime novel. I’m behind, as usual. Rick’s actions in NIGHT TREMORS have put him in another tough position in the next book. This guy never makes it easy. A very thoughtful and professional response. I’m looking forward to book two. Thanks for the comment, and I couldn’t agree more about Matt’s answers. Total pro. Really looking forward to NIGHT TREMORS! It’s always fun to read about another writer’s journey. Our writing is, or should be, a compilation of our lives, our imagination, and that magic that happens on the page when we aren’t aware of it. I enjoyed Yesterday’s Echo. Thanks to all. Really good questions.